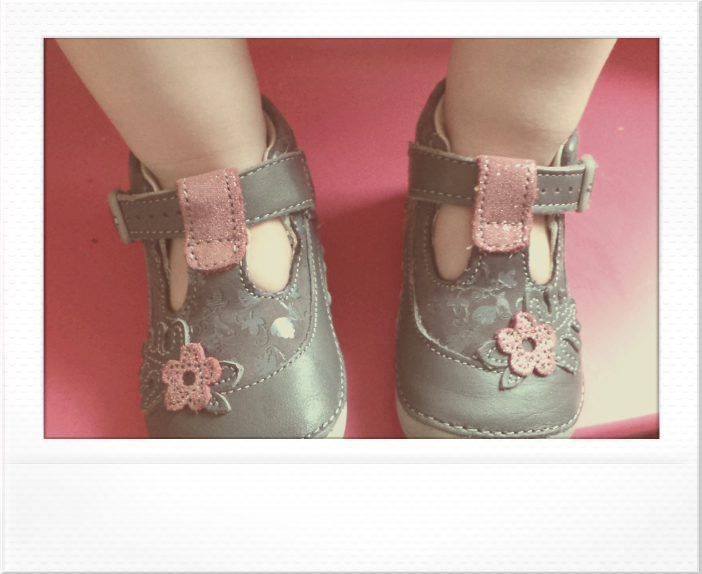 Three weeks ago we had to take the baby darling shopping for her very first shoes. She had taken those first few wobbly steps the week before and we knew that we could put off the inevitable no longer. We were unsure how she would feel about it as she had been the Diana Vickers of the baby world shunning shoes at every opportunity and who wants to cover up beautiful little baby feet anyway? She certainly didn't seem that keen judging by the exit she made from the shoe shop, reverting to crawling as at that stage it was still her quickest method of getting around. But she soon realised that actually those shoes were quite useful for getting around in and the next morning she proudly presented them to her daddy to request his assistance in putting them back on. It is actually mummy who has taken this change less well. How did my chubby little baby become this active little toddler?! In the few weeks she has been walking her chubbiness has dropped away as she becomes long and lean with her constant toddling. She is so accomplished now she has even taking to running and she is so good at it I think she might be already in training for the Olympics so that she live up to the legacy of her name.